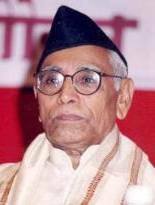 M G Vaidya, the 93-year-old Rashtriya Swayamsevak Sangh ideologue, says that Patidar Anamat Andolan Samiti leader Hardik Patel's effort to gather 400,000 people for last week's rally in Ahmedabad was a 'wonder' and believes that the 22 year old's ultimate aim is to abolish caste-based reservations in India. What does the agitation led by Hardik Patel for reservations for Patels in the OBC category tells you about the quota system in India? I am not very sure, but he probably aims at abolishing caste-based reservations. I have never spoken with him, but whatever I am reading from newspapers and seeing on TV, I think that is his ultimate aim. What he is saying is 'If you cannot give reservations to the Patels, which is impossible, then cancel all caste-based reservations. The Patels were not, are not, a backward community. Just like in Maharashtra, the Marathas are not a backward community. It is not that there are no poor people in these communities or for that matter in any Indian community or caste. They (the poor) should get some reservations too. But we must apply economic criterion for such reservations. Has the Mandal Commission recommendations, implemented by then prime minister V P Singh, divided Indian society on the basis of caste? For ten years, Indira Gandhi almost stopped it being made public. V P Singh created a vote bank for himself. I belong to the RSS. People today invoke Mahatma Phule and (Dr Babasaheb) Ambedkar. But Ambedkar wanted annihilation of caste. Today as soon as a boy or a girl is born you remind them of their caste. Then how can you realise Ambedkar's goal of annihilation of caste? Caste has become obsolete now. Nobody performs professions today ordained by his caste. My humble suggestion is let reservations be decided on the basis of the economic status of a family or person. I have certain specifications also. I will say give 30 per cent reservations to those whose yearly income is below Rs 200,000, and the remaining 19 per cent to those whose family's annual income is between Rs 200,000 and Rs 400,000. These are symbolic figures; these can be changed. These reservations too should not be more than 50 per cent. My experience is that those who have benefited from (caste-based) reservations, they continue to enjoy the benefits of reservations further. The poor among their own caste or class are still deprived of the benefits of reservations. Let me give you an instance without revealing names. When I was the chief editor (of Tarun Bharat, the RSS daily newspaper), in the 1980s, the principal of a college came to me and narrated an instance that related to how reservations have been converted into rights from concessions. This instance was about scholarships being demanded by a scheduled caste student from this college, whose father was the collector of that district and who had scored the highest marks to be eligible for that scholarship. The principal requested this student and his father to forego this scholarship so that some other scheduled caste student who was poor could benefit from it. This collector called the principal the next day to tell him that he would not forego the scholarship for his son because it was his son's right. So, a concession transferred itself into a right. Here was a student whose father had benefited from reservations, and instead of foregoing it for the benefit of a fellow scheduled caste student, these people took it as their right. There are poor meritorious students among Muslims, Christians, even upper castes. I think reservations should be decided in education and government services too only based on the economic status. If this happens, then caste affiliations will go away. But each caste has become a vote bank and politicians won't let this happen. People talk of annihilation of caste in the name of Ambedkar, Phule and Chhatrapati Shahu Maharaj, but their politics is based on caste. What is your reading of this event based on what you have read in newspapers and seen on TV? 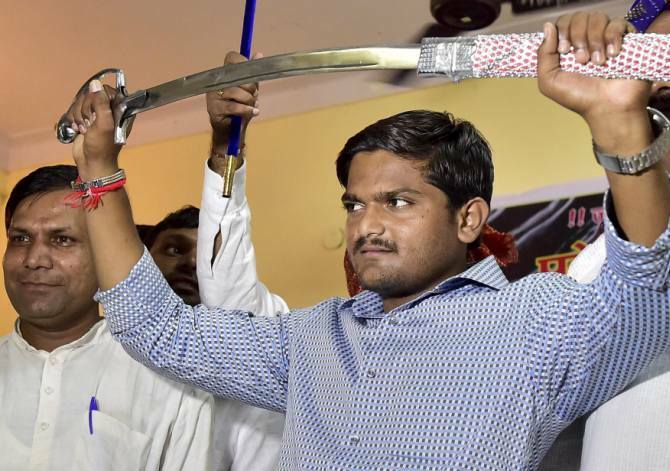 Do you think Hardik Patel is just a flash in the pan and one year later nobody will talk about him? Hardik Patel has been saying in his speeches that Narendra Modi's 'Gujarat development model' has failed and that is the reason why the Patidars are agitating for reservations in Gujarat. How do you react to Hardik's observation? I have read such statements. He is a successful prime minister, internally as well as externally. He is doing a very good job. However, it is too premature to judge any government unless it completes at least one term in office. We can make a sound judgement only after five years. The central government has finally decided not to repromulgate the land bill ordinance. Is it a wise step? There was no other way. Their land acquisition bill would not pass in the Rajya Sabha. It is a wise step actually. Were you happy with the ordinance that Mr Modi brought in that sought to do away with the environmental impact assessment and the consent clause for projects that were to be undertaken by the government? I have not studied the details of the ordinance, but I also come from a village and we need to build infrastructure to start industries there. TOP IMAGE: Hardik Patel, the 22-year-old Patidar leader.